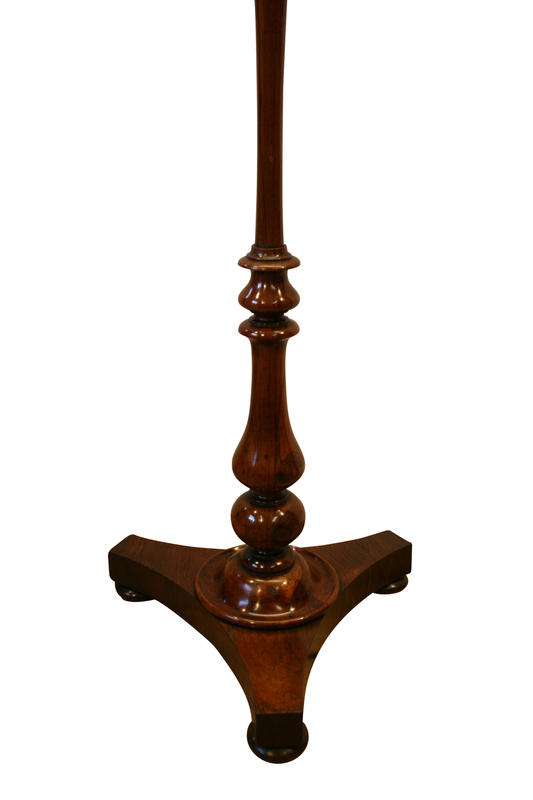 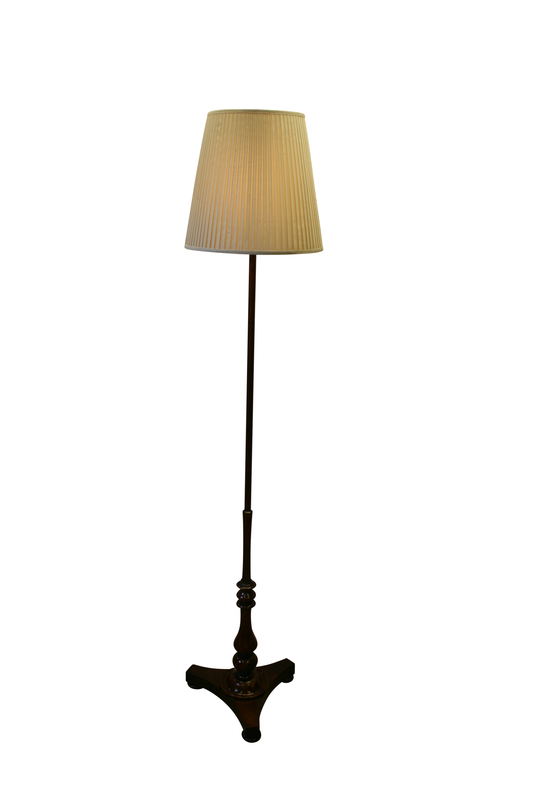 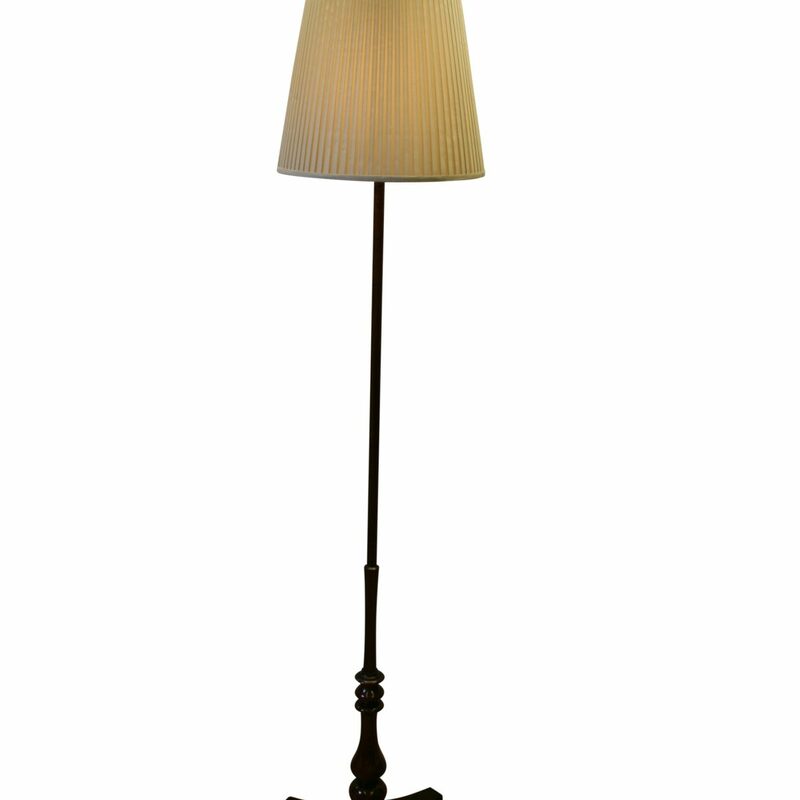 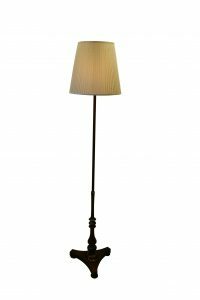 A William IV rosewood standard lamp, which has been converted from a pole screen. 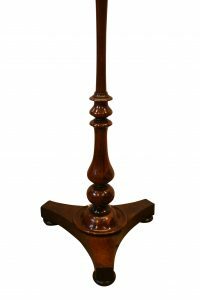 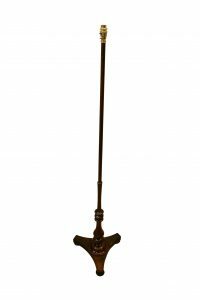 The turned stem has a baluster shape and is supported on a trefoil base. 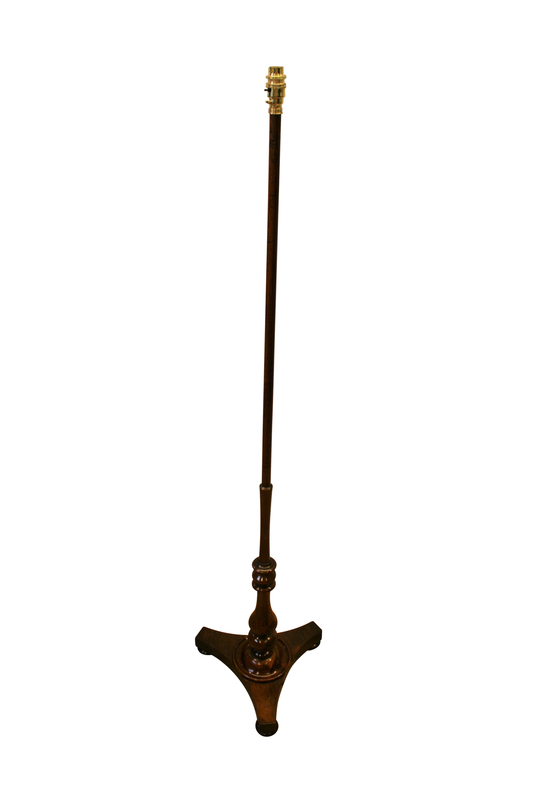 It stands on three turned bun feet.